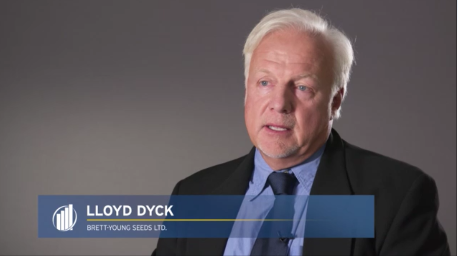 On behalf of BrettYoung - Congratulations to BrettYoung Owner & Chairman, Lloyd Dyck, for winning EY Entrepreneur of the Year in the Prairie Business-to-Business Products and Services category. There is incredible competition for these prestigious awards, and it serves as great recognition of the hard work that has gone into the development of BrettYoung as a trusted leader in seed production, distribution, sales and marketing. Lloyd humbly thanked his family and the BrettYoung team for giving him the strength to succeed. Please join us in congratulating our owner and chairman for his tremendous recognition of excellence!